With Ireland on course for a Grand Slam, Scotland seemingly destined for the wooden spoon and Italy finally on the board, Monday Maul looks at the tales of the third weekend of this year's Six Nations Championship. Old Father Time waits for no man, not even Paul O'Connell - the giant at the heart of everything Munster and Ireland for the past 13 years. Eventually, he will have to hang up his battered boots and rest his weary torso. But while the question of just when he will retire hovers around anything he does, he is still hoping to create more memories in the Ireland jersey. When asked if the 19-9 win over England could be his last Six Nations game at the Aviva, O'Connell answered: "It could have been, I just don't know yet. I really want to play in the World Cup and be in the best shape for that. Time to shuffle the England deck? When a team is winning, it is hard to make changes but a defeat can cause the odd question mark to materialise. 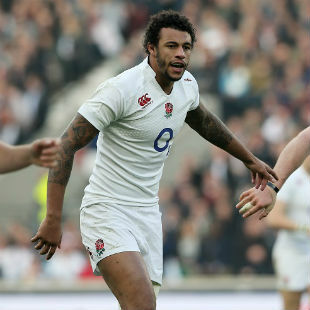 When Stuart Lancaster pours over the weekend's Aviva Premiership matches, he will see how those internationals currently outside of the matchday squad have fared. He will see the Man of the Match performance from Courtney Lawes on Friday evening and will also monitor the form of Tom Wood, Brad Barritt and Geoff Parling. In the wake of their loss to Ireland, talk of Scotland was premature and the coach kept his counsel on whether there would be changes. Is the Schmidt blueprint World Cup-tuned? In 2011 the All Blacks won the World Cup partly through a watertight defence, solid kicking infield and accuracy from the tee. Ireland pride themselves on all three factors and it is hard to think of a more precise kicking half-back pairing than Jonathan Sexton and Conor Murray. A World Cup year does strange things to the natural order of things. 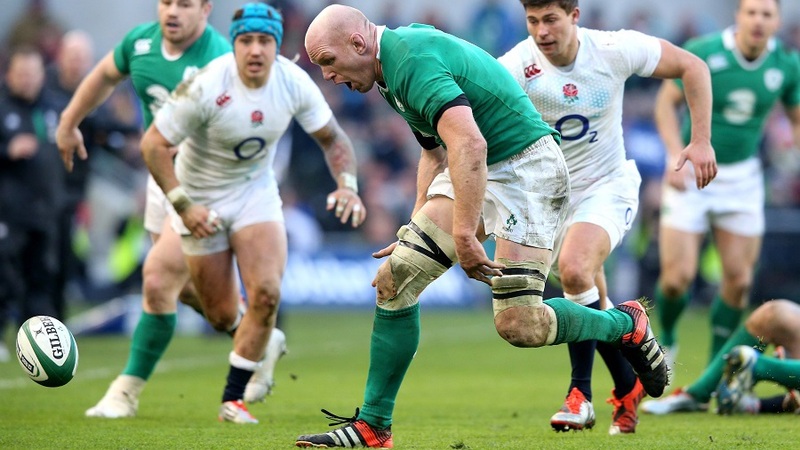 Not so long ago Ireland were 20/1 to lift the William Webb Ellis cup later this year. Those odds look overwhelmingly generous yet. New Zealand coach Steve Hansen certainly looked like he was flying out of Dublin on Monday morning with food for thought. 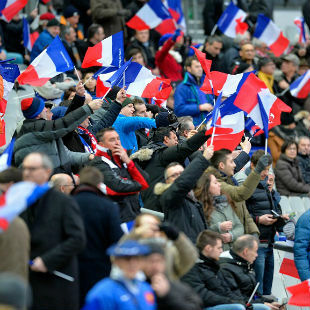 Say what you like about the French and their approach to rugby, the pre-match build up at the Stade de France is more even-handed than at most other international venues. It admittedly does share some of the same defects found elsewhere - bombastic music, with the emphasis on the bass pedal, whose effect is to deaden rather than inspire atmosphere. But there is less sense of trying to take advantage. The two teams run out together and there is no attempt to slip in an extra tune of their own in between the anthems and kick-off. There's no reason why the French will have been any happier to have been beaten by Wales in the 1950s than in recent years, but that run of six consecutive defeats between 1952 and 1957 did have its compensations. They scored eight tries in those matches, being held tryless only once, and the run also included France's best seasons to that time - in both 1954 and 1955 they ended up as joint champions with Wales (England made it a three-way tie in 1954). After an impressive Autumn series and valiant performances in defeat against France and Wales, a youthful Scotland side were looking like a team on the up. But something went wrong on Saturday. With the Italian pack battering them into submission, the hosts looked clueless as they threw away a first-half lead to lose 22-19 on the final play of the game. 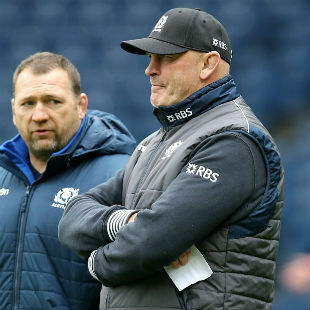 Stoney-faced in the post-match press conference - the shattered glass in the Murrayfield coaching booth told its own story - Vern Cotter suggested it was a problem of communication. The head coach has spoken about making a return to the glory days of free-flowing Scottish rugby, but whatever gameplan he wanted to see at Murrayfield was chucked out of the window as soon as Italy applied some pressure. "I'm obviously not getting the message across," Cotter admitted. "That's one of those things that has been spoken about and it needs to be taken on board. We just need to address a couple of simple things which will help us change and control outcomes better." The silver lining is that Cotter's charges are now aware they need to listen. Try-scorer Mark Bennett admitted as much, saying communication had been an issue at Murrayfield - which is a little surprising given 10 of the starting XV are from the same club, Glasgow Warriors. "We just need to be more clinical," Bennett said. "We're creating opportunities and manipulating teams the way we want to, we're just not taking the chances. Communication as well - making sure we know when opportunities are there, because we are making these chances and have the potential to tear teams apart, we've just not quite clicked yet." What goes on in those Murrayfield showers? Everyone has a dodgy tale or two about changing room antics, so when Scotland flanker Blair Cowan started talking about showering with his Scotland team-mates, the assembled journalists would have been forgiven for wincing at the thought of what was to come. But rather than any soapy surprises, Cowan revealed he had a pep talk from team-mate Ryan Grant as they washed the Murrayfield mud from their knees. Saturday's victory over Scotland means Italy have every chance of avoiding the wooden spoon this season, but it does not hide the fact they have finished bottom of the pile in 10 of the past 15 years. Indeed, after the Italians' heavy defeat by England a fortnight ago, Monday Maul pondered whether Italy were still deserving of their place in the championship. The conclusion was yes, but only just. 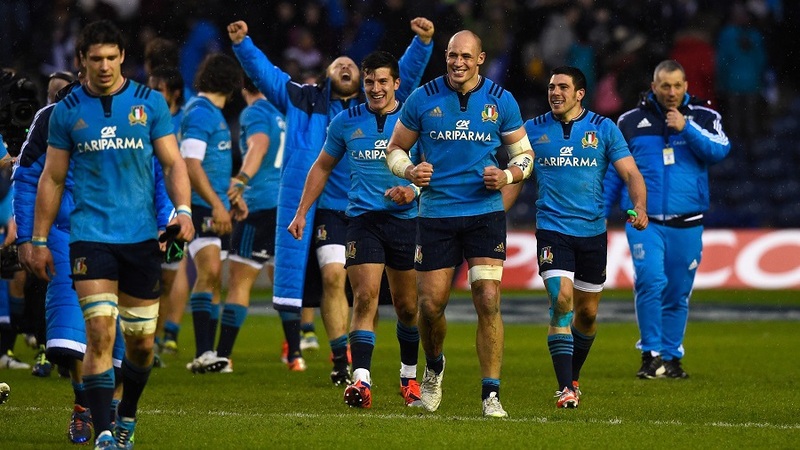 Speaking in the aftermath of victory at Murrayfield, Sergio Parisse - Italy's 111-cap skipper - was bullish about his side's chances of reaching those heights. He admitted the squad are not without their difficulties - they lack a fly-half, make too many errors and rely on veteran forwards, to name but a few - but he wants the issue put to bed. "This victory is not going to cancel all the difficulties that we have but the most important thing is we have shown everyone that we really deserve a place in this tournament," he said.